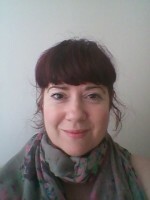 Hello, my name is Su and I am a qualified counsellor based in the heart of Liverpool City Centre. My therapy is called Person-Centred Counselling and what this means is that we will work together exploring your thoughts and feelings about yourself and how they can be connected to events in the past or the present. Through this exploration we can build the right environment for you to positively change what you want to in your life. Currently only available Sunday mornings.